Freshly brewed mate iced tea. 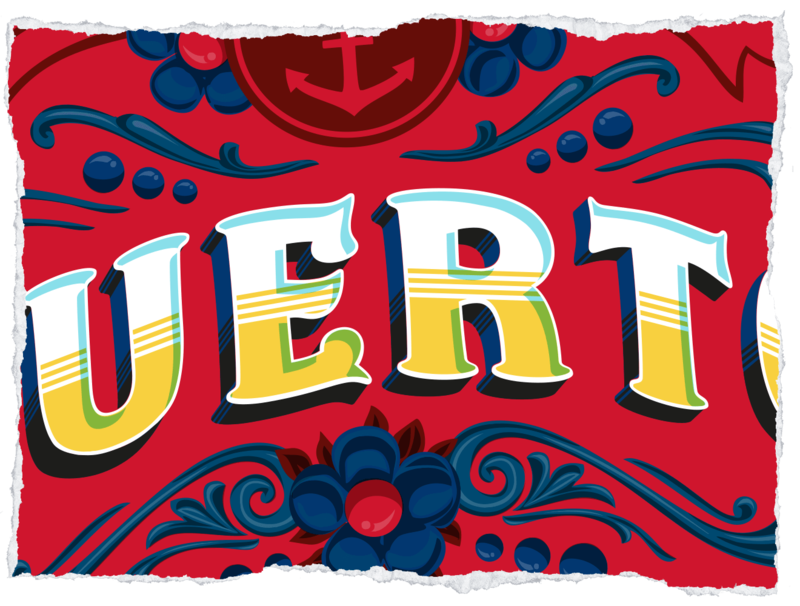 PUERTO MATE® Tereré is as colorful as life itself. And just as genuine. The freshly brewed tradition from faraway South America will stimulate and enliven your day. Refreshingly authentic. OR WOULD YOU PREFER LEMON GRASS? On September 25th, 1926, the Swiss agronomist and engineer Alfonso Scherer traveled to Puerto Esperanza in Argentina, now a traditional yerba mate growing area. 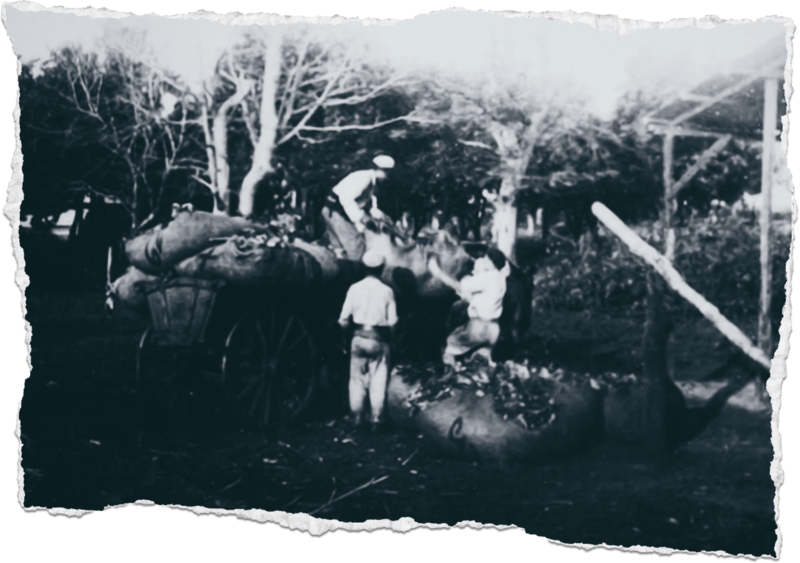 Using specially developed agricultural techniques, he and his team succeeded in cultivating the stimulating plant, which not only laid the foundation for PUERTO MATE®, but also for a city of nearly 18,000 inhabitants. 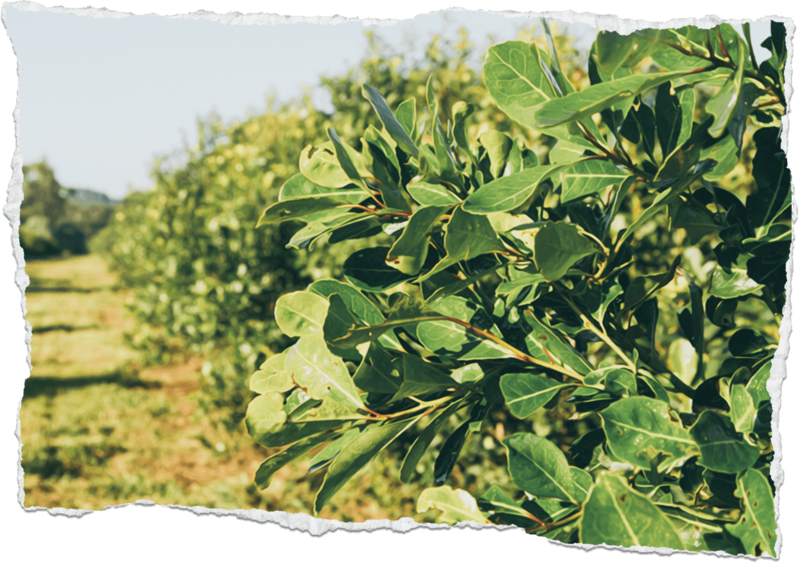 We use only the best ingredients for our PUERTO MATE® Tereré, and they come mainly from South America. 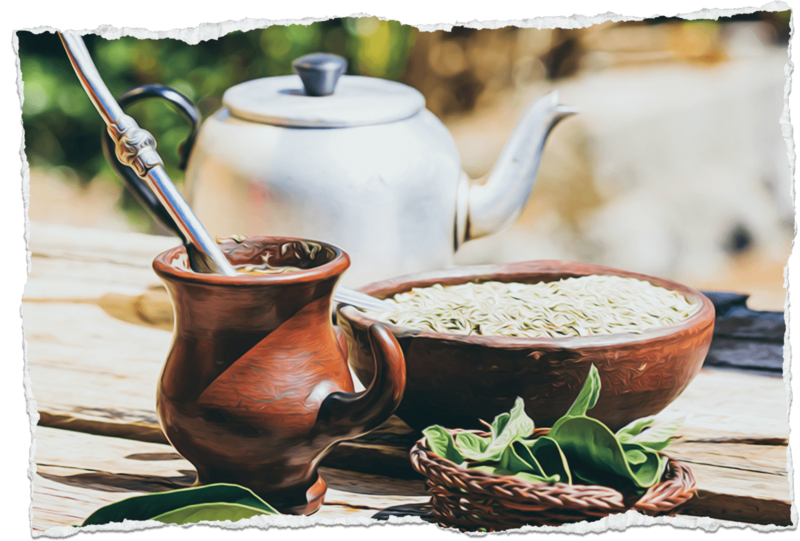 The subtropical climate and particularly fertile soil provide the yerba mate the best growing conditions and ensure the highest quality and delicious aroma and taste. We are particularly proud of our mate, because it is a special variety and comes from our own plantation in Puerto Esperanza, Argentina. That’s why we named it: PUERTO MATE®. Puerto Mate Tereré is like a sunrise on the sea, bathing under a waterfall or a trip to a faraway land — refreshingly genuine. A mate iced tea which is as energizing and stimulating as the mate South Americans have been enjoying in good company for centuries. And we mean “iced tea” quite literally, because Tereré is traditionally cold brewed, making it especially aromatic and invigorating. PUERTO MATE® Tereré with pomegranate. This is genuine mate iced tea from South America with delicious natural pomegranate juice. Our Tereré is cold brewed according to tradition and is therefore particularly aromatic and refreshing. Combining the positive effects of mate and pomegranate juice creates a healthy and refreshing addition to your daily life. OR WOULD YOU PREFER POMEGRANATE? PUERTO MATE® Tereré with lemon grass. This is genuine mate iced tea from South America. Cold brewed according to tradition and therefore particularly aromatic and healthy. With the addition of lemon grass, Tereré is a refreshing companion for daily life. As the saying goes: when life hands you lemon grass, make PUERTO MATE® Tereré! The seeds of the mate plant are so hard that untreated they will not germinate. This mystery was solved by the Jesuits in the 17th century. The mate seed was eaten by birds and excreted. Only then could the hard seed sprout be planted. 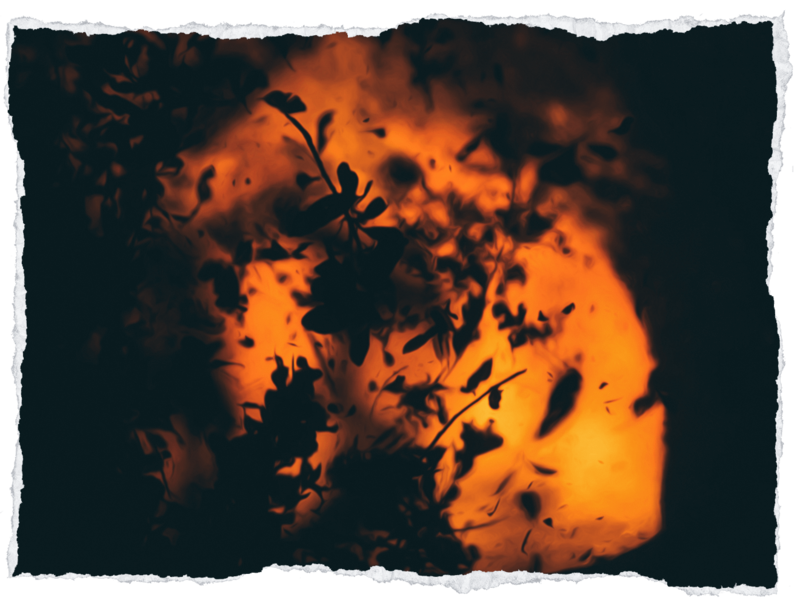 For hundreds of years, the only mate available was gathered by the Guaraní from wild growing mate trees. Mate can now finally be cultivated. 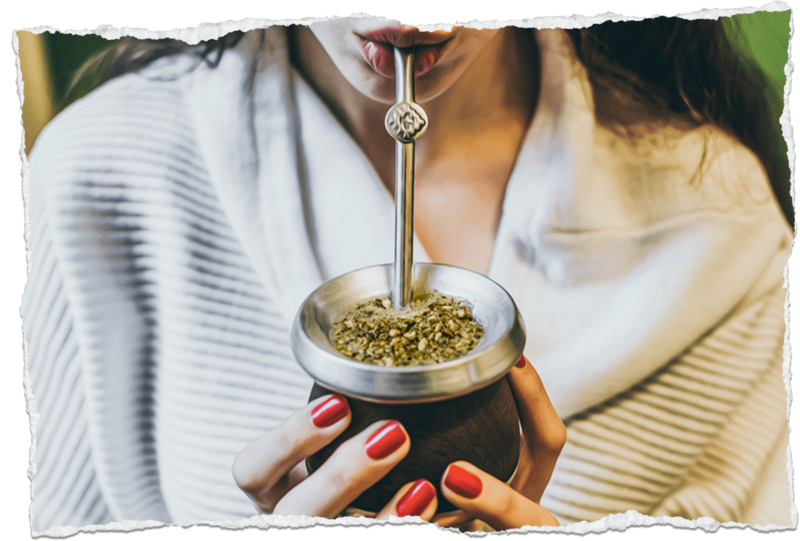 Today each sip of PUERTO MATE® Tereré brings with it the taste of adventure, because PUERTO MATE® has what others can only dream of: a real story! The story begins far away from Argentina, in Zurich, Switzerland, with a professor, author and specialist in subtropical and tropical global commercially valuable plants named Andreas Sprecher von Bernegg. In 1923, von Barnegg received the teaching assignment for tropical agriculture at the agricultural department of ETH Zurich (Swiss Federal Institute of Technology, Zurich). His enthusiasm for agricultural crops and mate tea in particular inspired his students, including a certain Alfonso Scherer. During a round of mate tea, the professor planted the idea of cultivating the plant in South America in Scherer’s head. In 1926, Alfonso Scherer, now an agricultural engineer, joined other Swiss scientist to embark on a research expedition for a company that had purchased large quantities of land in South America and was now looking for people to cultivate the land. 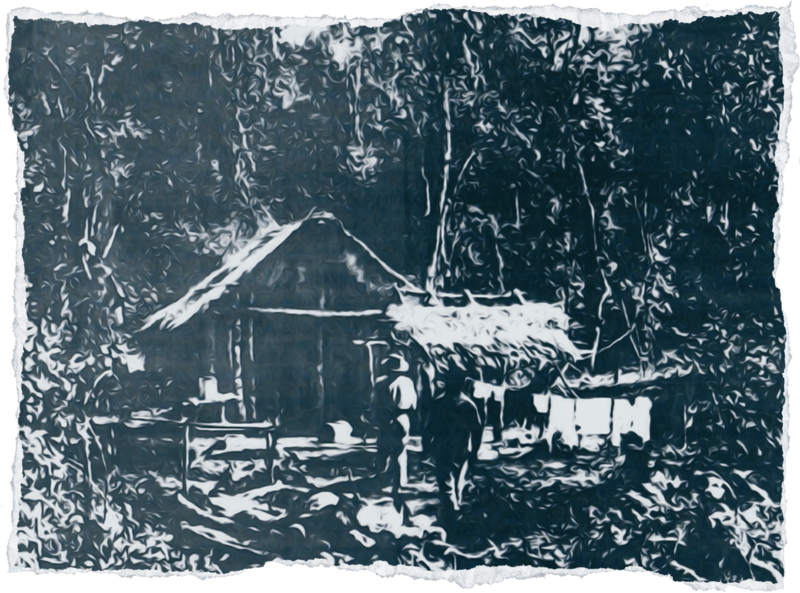 On September 26th, 1926, they landed in the Argentine province of Misiones, and together with Paraguayan agricultural workers founded the settlement of Puerto Esperanza in the middle of the jungle. 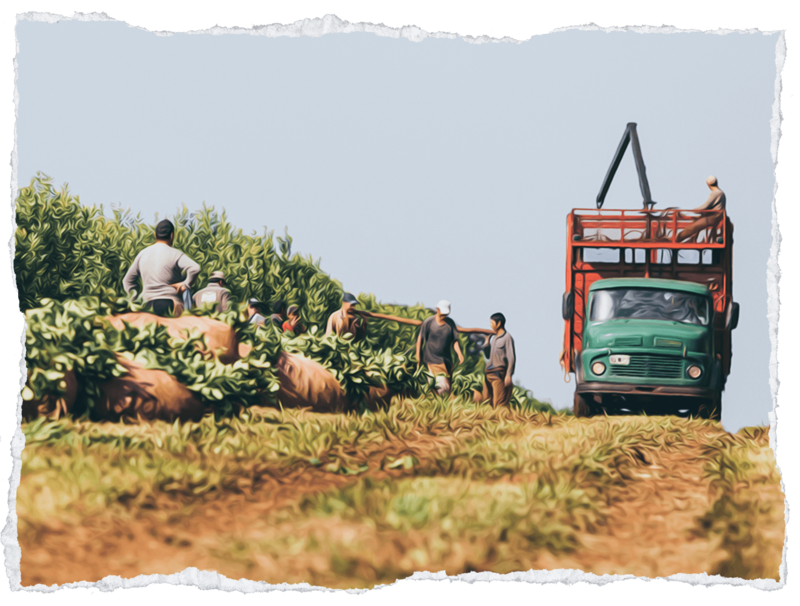 At the plantation of Alfonso Scherer, which is still family-owned and produces our mate, they began to put their goal into action: the cultivation of the mate plant. When the agricultural engineer Alfonso Scherer travelled to Argentina in 1926, he wanted to cultivate the mate plant. In doing so, he laid the foundations for an entire city. 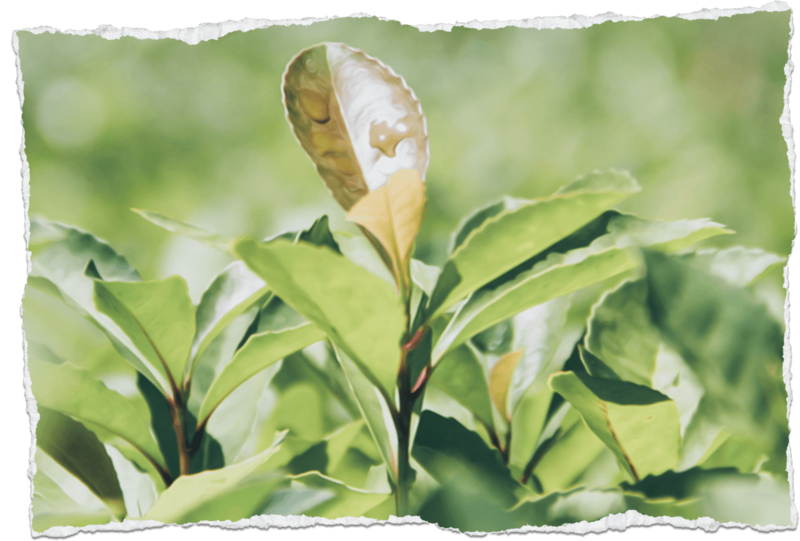 When it comes to the raw materials for our mate tea, we at PUERTO MATE® leave nothing to chance. The nursery of our partner company PINDO produces about 1 million seedlings annually. 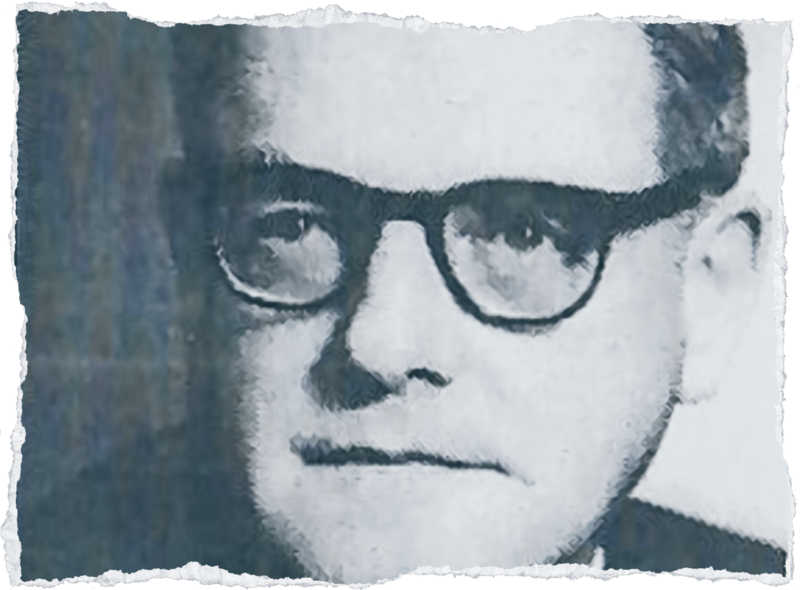 During the completion of his doctoral thesis, managing director and partner of the nursery, Dr. Ing. Rafael Scherer, developed a new mate variety with excellent taste and product features. At PUERTO MATE® we believe that “fairness” and “sustainability” should not be simply seals of approval, but should be self-evident. Since the mate harvest must be brought in by highly trained employees and is heavy manual labor, all our workers are fairly paid and comprehensively covered by social welfare insurance. Good work is rewarded with above average wages, providing employees and their families a good living standard and making home ownership possible. Our careful drying process ensures that no toxic hydrocarbons are produced during drying. Only the ingredients for which our mate is highly regarded remain. In addition to its delicious taste and aroma, mate tea is said to have a whole host of therapeutic properties. The ingredients stimulate the nerves, muscles and metabolism. The caffeine in mate tea has an invigorating effect and supports circulation, which has made mate tea a popular antioxidant tea that is considerably healthier than energy drinks, coffee and similar beverages. 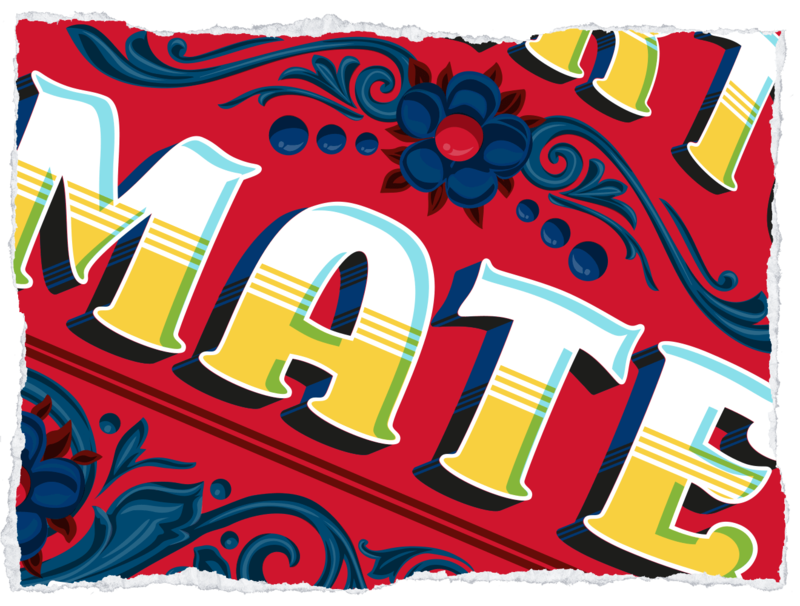 For PUERTO MATE® Tereré we only use mate from our own plantation in Argentina. The high quality is characterized by outstanding taste and is also confirmed by independent laboratory tests. 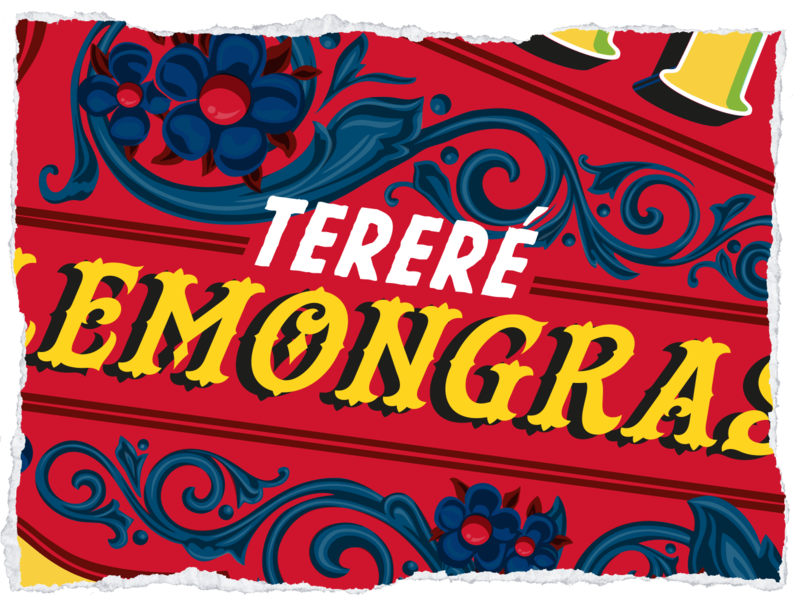 Tereré, made from the yerba herb, is more than a simple iced tea. 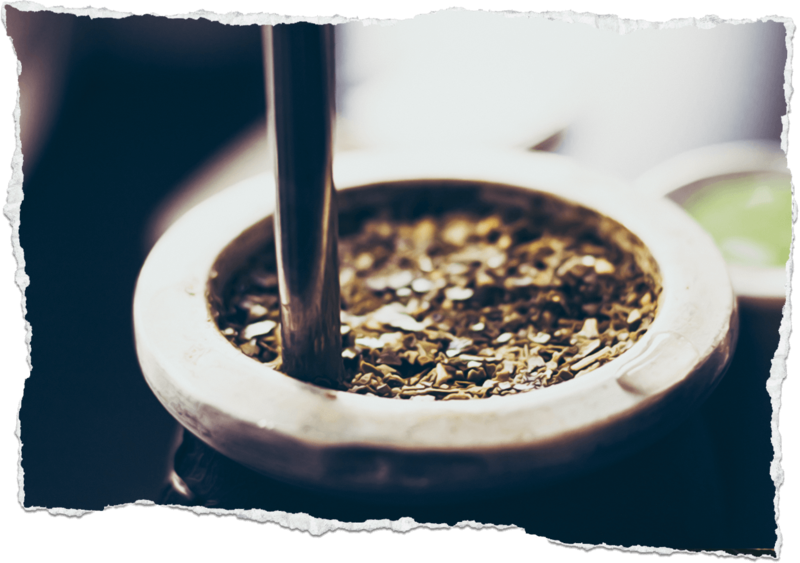 Since an Argentine rarely prepares mate alone, there is a particular set of social codes to follow when enjoying the shared beverage as part of a mate circle. One person prepares the mate and is usually also the server. Usually this is also the same person who owns the Calabash (usually made of pumkin or ceramic, with a metal straw, the bombilla), and he or she refills the Calabash when it is empty. Each participant drinks the full serving from the Calabash before passing it back to the server. All use the same Calabash and Bombilla (sipping straw), and “gracias” is only said when one has had as much as one wants. The traditional preparation of Tereré is refreshingly simple. As with tea brewed with hot water, the Calabash is about half-filled with yerba mate. The mate is moistened a bit, pressed down and then ice water, sometimes containing crushed herbs, is added. Because yerba mate’s natural taste is slightly bitter, the Tereré is often naturally flavored with the juice of citrus fruits, or, as in the case of PUERTO MATE® Tereré, with lemon grass or pomegranate juice. Those who like it genuinely traditional drink Tereré through a bombilla. This is a metal drinking straw with a sieve at the bottom which prevents tea leaves from being sucked up into the straw. High-quality bombillas are made of silver and are elaborately decorated, as are the Calabashes which are made of pumpkin and ceramic. The optimal placement of the bombilla in the Calabash is the subject of various culinary beliefs in the traditional mate areas. 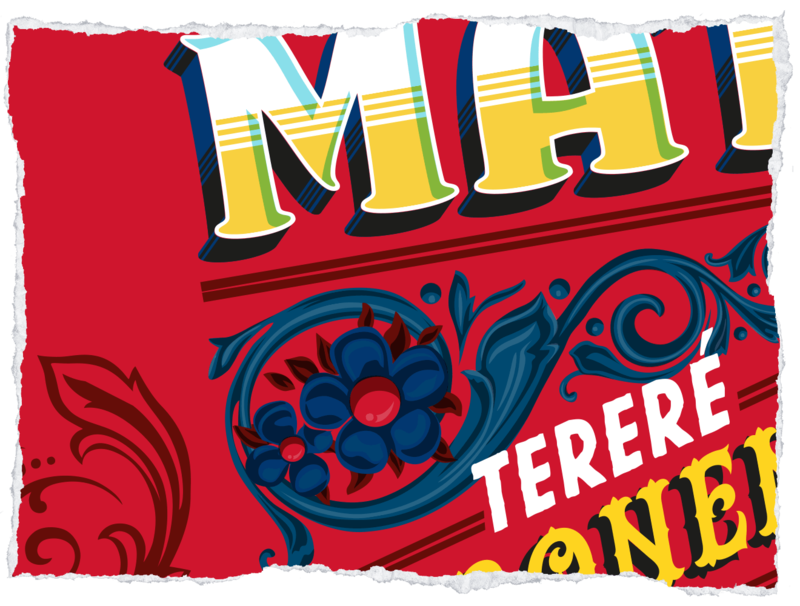 Tereré is more than just another beverage. Tereré is a living South American tradition that has found its way into modern times in a refreshing way. Thanks to the western health movement, the energizing and stimulating effects of cold brew mate tea are also becoming increasingly popular in Europe. Please feel free to send us your questions and comments via e-mail and we will contact you. PUERTO MATE® IS A PRODUCT OF INTELLIGENTFOOD SCHWEIZ AG. Rapidly changing values lead to new consumer desires. This opens up new opportunities for the realization of innovative beverage concepts. As a center of excellence in the beverage industry, intelligentfood has acknowledged these opportunities and developed various attractive and innovative beverage concepts. Years of experience and a highly qualified team of experts, combined with a strong commitment to innovation, create the basis of a sustainable business model. Handelsregisteramt: Luzern, Schweiz Haftungsausschluss Der Autor übernimmt keinerlei Gewähr hinsichtlich der inhaltlichen Richtigkeit, Genauigkeit, Aktualität, Zuverlässigkeit und Vollständigkeit der Informationen. Alle Angebote sind unverbindlich. Der Autor behält es sich ausdrücklich vor, Teile der Seiten oder das gesamte Angebot ohne gesonderte Ankündigung zu verändern, zu ergänzen, zu löschen oder die Veröffentlichung zeitweise oder endgültig einzustellen. Haftung für Links Verweise und Links auf Webseiten Dritter liegen ausserhalb unseres Verantwortungsbereichs. Es wird jegliche Verantwortung für solche Webseiten abgelehnt. Der Zugriff und die Nutzung solcher Webseiten erfolgen auf eigene Gefahr des Nutzers oder der Nutzerin. Urheberrechte Die Urheber- und alle anderen Rechte an Inhalten, Bildern, Fotos oder anderen Dateien auf der Website gehören ausschliesslich intelligentfood Schweiz AG oder den speziell genannten Rechtsinhabern. Für die Reproduktion jeglicher Elemente ist die schriftliche Zustimmung der Urheberrechtsträger im Voraus einzuholen. Datenschutz Gestützt auf Artikel 13 der schweizerischen Bundesverfassung und die datenschutzrechtlichen Bestimmungen des Bundes (Datenschutzgesetz, DSG) hat jede Person Anspruch auf Schutz ihrer Privatsphäre sowie auf Schutz vor Missbrauch ihrer persönlichen Daten. Wir halten diese Bestimmungen ein. Persönliche Daten werden streng vertraulich behandelt und weder an Dritte verkauft noch weitergegeben. Beim Zugriff auf unsere Webseiten werden folgende Daten in Logfiles gespeichert: IP-Adresse, Datum, Uhrzeit, Browser-Anfrage und allg. übertragene Informationen zum Betriebssystem resp. Browser. Diese Nutzungsdaten bilden die Basis für statistische, anonyme Auswertungen, so dass Trends erkennbar sind, anhand derer wir unsere Angebote entsprechend verbessern können. Datenschutzerklärung für die Nutzung von Facebook-Plugins (Like-Button) Auf unseren Seiten sind Plugins des sozialen Netzwerks Facebook, 1601 South California Avenue, Palo Alto, CA 94304, USA integriert. Die Facebook-Plugins erkennen Sie an dem Facebook-Logo oder dem „Like-Button“ („Gefällt mir“) auf unserer Seite. Eine Übersicht über die Facebook-Plugins finden Sie hier: http://developers.facebook.com/docs/plugins/. Wenn Sie nicht wünschen, dass Facebook den Besuch unserer Seiten Ihrem Facebook-Nutzerkonto zuordnen kann, loggen Sie sich bitte aus Ihrem Facebook-Benutzerkonto aus. Datenschutzerklärung für die Nutzung von Google Analytics Diese Website benutzt Google Analytics, einen Webanalysedienst der Google Inc. („Google“). Google Analytics verwendet sog. „Cookies“, Textdateien, die auf Ihrem Computer gespeichert werden und die eine Analyse der Benutzung der Website durch Sie ermöglichen. Die durch den Cookie erzeugten Informationen über Ihre Benutzung dieser Website werden in der Regel an einen Server von Google in den USA übertragen und dort gespeichert. Im Falle der Aktivierung der IP-Anonymisierung auf dieser Webseite wird Ihre IP-Adresse von Google jedoch innerhalb von Mitgliedstaaten der Europäischen Union oder in anderen Vertragsstaaten des Abkommens über den Europäischen Wirtschaftsraum zuvor gekürzt. Sie können die Installation der Cookies durch eine entsprechende Einstellung Ihrer Browser Software verhindern; wir weisen Sie jedoch darauf hin, dass Sie in diesem Fall gegebenenfalls nicht sämtliche Funktionen dieser Website voll umfänglich nutzen können. Durch die Nutzung dieser Website erklären Sie sich mit der Bearbeitung der über Sie erhobenen Daten durch Google in der zuvor beschriebenen Art und Weise und zu dem zuvor benannten Zweck einverstanden. Datenschutzerklärung für die Nutzung von Remarketing Unsere Webseiten verwenden sogenannte Remarketing-Technologien. Die Einblendung dieser Werbemittel auf den Seiten unserer Partner erfolgt auf Basis einer Cookie-Technologie und einer Analyse des vorherigen Nutzungsverhaltens. Diese Form der Werbung erfolgt vollkommen anonym. Es werden keine personenbezogenen Daten gespeichert und es werden auch keine Nutzungsprofile mit Ihren personenbezogenen Daten zusammengeführt.